We saw the need in the Oshawa and Durham community for a law firm that treated each client respectfully and recognized the unique issues facing each client. The members of our community expect a high level of individualized service and to work directly with Oshawa estate planning, real estate and corporate lawyers and staff as much as possible. Our team all buy in to this vision. Members of this community want to work with approachable and friendly professionals in a comfortable setting. Our clients rely on our expertise and our high level of service. More than advertising or any form of marketing, our success has been generated from satisfied clients in the community who trust us to work closely with their friends and family to meet their legal needs. 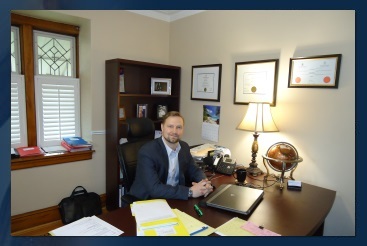 Prior to opening Fraser Law Professional Corporation, Mr. Fraser worked as both an associate and owner at established firms in the Durham Region and Northern Ontario. 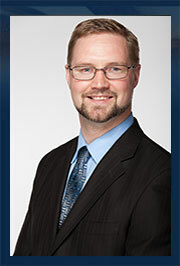 Mr. Fraser graduated from the Faculty of Law at the University of Manitoba in 2005 and completed the Bar Admission Course at the University of Western Ontario in 2006. 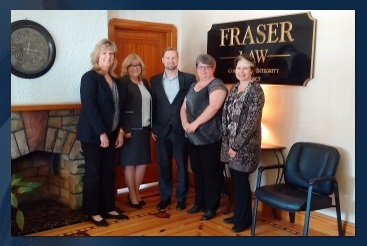 Prior to attending law school Mr. Fraser completed a four year Bachelor of Arts with honors at Laurentian University in Sudbury. Originally from a small town in Northern Ontario, Mr. Fraser appreciates living in the Durham Region and working with the local community. Mr. Fraser takes an active role in the community attending networking and charity events as well as regularly hosting home buyer and wills and estates seminars. Mr. Fraser is a member of the Durham Region Law Association, the Law Society of Upper Canada, and the Canadian Bar Association. In his spare time Mr. Fraser enjoys participating in local hockey leagues and tournaments. Click here for some community links that you may find helpful. 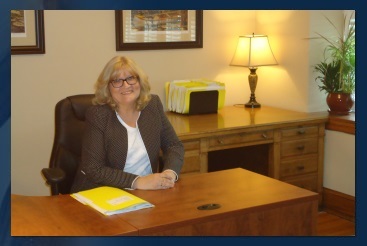 Debbie has worked in the Durham Region as a Law Clerk for 35 years. She obtained her certification as a Law Clerk from the Ontario Institute of Law Clerks in 1990. Debbie enjoys working with clients at our Oshawa law offices, particularly working with clients directly and ensuring their individual needs are met. Debbie shares the "firm vision" of providing excellent service to clients realizing that satisfied clients will remain clients of the firm and are likely to refer their friends and family. Debbie enjoys weekends at the cottage with her family and enjoys all the outdoor activities cottage life provides. Tracy has worked as a Law Clerk for 20 years. 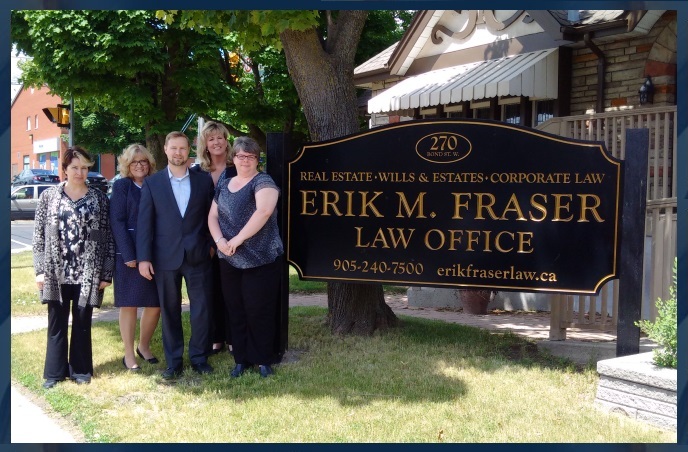 Prior to joining the Fraser Law Professional Corporation, Tracy worked for a well established law firm in the City of Oshawa. 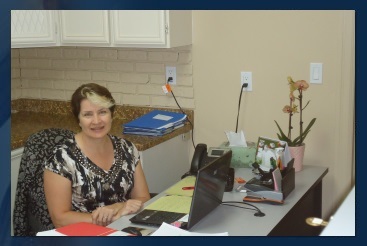 Tracy believes in ensuring that all clients have a positive experience with our firm. She understands that all clients are a priority and enjoys providing a high level of professional service to everyone. In her spare time, Tracy enjoys spending time with her family and can often be found at the ball park cheering on her husband and son. 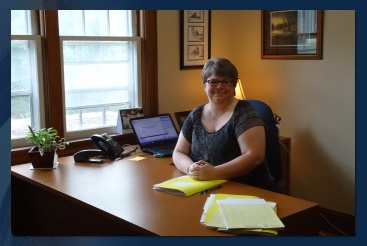 Jennifer has worked as a Law Clerk in the legal community for over 30 years. Prior to joining the Fraser Law Professional Corporation she worked for many established law firms, both in the Durham Region and Toronto. Proudly raised in Oshawa, and a former graduate of Durham College, she enjoys living in the Durham Region and has also raised her family in the Durham Region. She enjoys working with clients to ensure that they feel comfortable and have a good experience with our firm in their current and future transactions. She enjoys spending her free time reading, gardening and spending quality time with her family. Pam is a recent Law Clerk Graduate of Durham College. She continues to expand her knowledge in the areas of real estate, wills and estates and corporate law. She enjoys welcoming and working with clients of the firm. She appreciates ensuring that each client has had a positive experience with the services we have provided. Pam enjoys spending her spare time with her family and going on outdoor adventures. 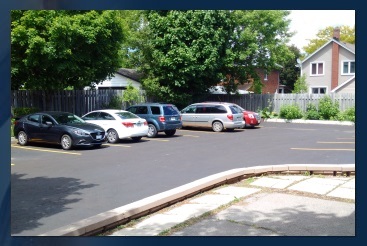 Fraser Law Professional Corporation now provides legal services to the nearby areas of Bowmanville, Whitby and Port Perry, in addition to our Oshawa area clients we currently serve.